laowai < Mandarin: literally, outsider/foreigner > Whether you're just settling into life in China or consider yourself an old 'China Hand', this podcast has something for you! Meet Ally Mona, founder and host of the show. 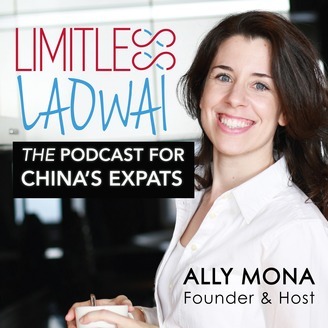 After a decade in China, Ally is no stranger to the cultural and lifestyle adjustments required of a successful ‘laowai’. Her mission: Equip the masses to take the China experience by the horns and enjoy the wild ride! Ally is joined by her co-host Pete Rogers; Pete's journey in China began in the summer of 2014 and he hasn’t look back since. What his mission? To bring joy and passion to the daily lives of those living and working in China…and beyond. 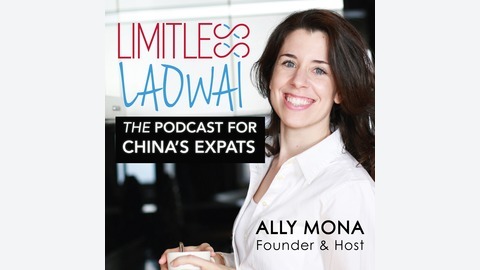 Ally and Pete interview fantastic expats and China experts all over the world to bring you content designed to motivate, empower and connect you to the vibrant life and opportunities available to you in China. From relocation, to repatriation, and everything in between, LimitlessLaowai has you covered. In this show, I give you a raw, unedited update into my life for the past 14 months since I last released content, an apology, and a personal invitation to reconnect on a new platform with a renewed purpose.